Are you an aspiring Nurse Practitioner? If you are a nursing student, or a registered nurse looking to expand your experience and role in the health care sector, the Nurse Practitioner (NP) role might be the answer. 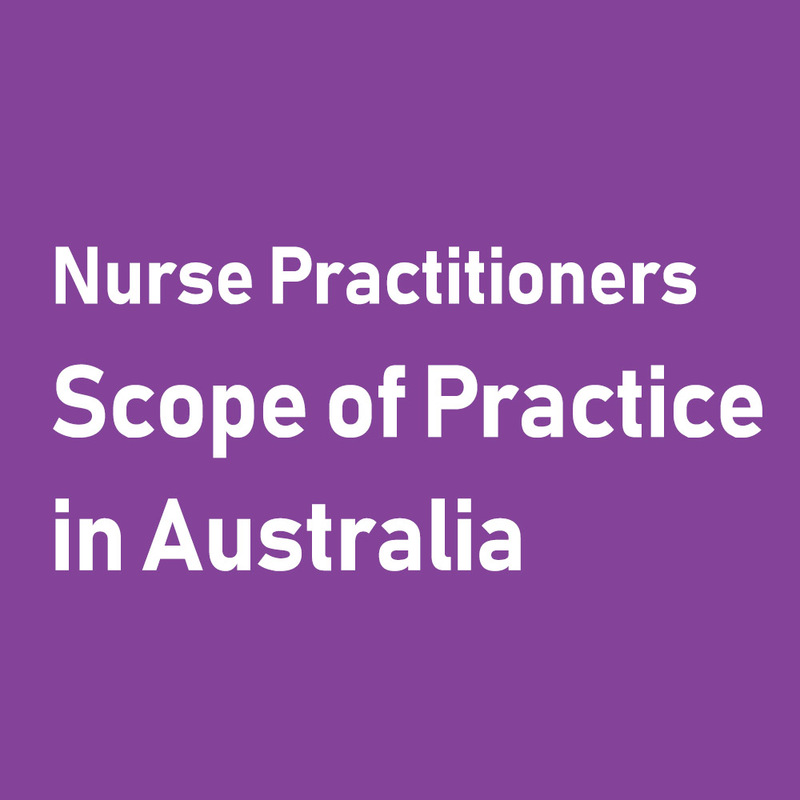 A NP is an advanced practice nurse who has been endorsed by the Nursing and Midwifery Board of Australia (NMBA). Advanced practice nursing itself indicates a level of practice rather than a role, and is defined by a recognisably higher level of nursing, in regards to professional knowledge, clinical reasoning and judgement, skills and behaviours. As with other nursing roles, nurse practitioners can specialise in a specific area of care (e.g. HIV or aged care) or work with a broader scope (e.g. population health or generalist primary care nursing). The NP Clinical Learning & Governance (CLLEVER) Project conducted in 2014 has classified a set of Nurse Practitioner metaspecialties consisting of Aged and Palliative Care, Child and Family Health Care, Mental Health Care, Care of People with Long-Term Conditions, Emergency and Acute Care and Primary Health Care. It’s worth mentioning that these metaspecialties are not mutually exclusive, and nurse practitioners might have to encompass knowledge of multiple metaspecialties aside from their own in order to provide a holistic treatment. The scope of practice is determined by the nurse practitioner, in accordance with NMBA standards and guidelines. Besides enabling you to work to your full potential as a Nurse, becoming a Nurse Practitioner allows you to contribute to improving access and choices for patients. By provisioning new services, in line with community needs, and gaps in health care services, Nurse Practitioners address population health needs and improve health outcomes for the community. How to Become a Nurse Practitioner? The equivalent of three years’ full-time experience (5,000 hours) at the clinical advanced nursing practice level, within the past six years, from the date when the complete application seeking endorsement as a nurse practitioner is received by the NMBA. There are also ongoing requirements for endorsement, to ensure that an endorsed Nurse Practitioner is complying with the NMBA’s registration standard of practice. For more information, head over to this link. Nurse practitioners can access the Medicare Benefits Schedule (MBS) and Pharmaceutical Benefits Scheme (PBS) for their patients. Since 2010, Medicare benefits have been available for specific services provided by privately practising nurse practitioners who have an established collaborative arrangement with a medical practitioner (MP). Furthermore, Nurse Practitioners who have a collaborative arrangement with a MP can prescribe certain subsidised medicines under the PBS. Prescribing for Nurse Practitioners is in accordance with the individual Nurse Practitioner’s scope of practice as well as State and Territory regulations, due to the variations of legislative and regulatory provisions of the Drugs, Poisons and Controlled Substances (DPCS) across each state and territory. Ready to Set Your Next Goal? Becoming a nurse practitioner provides you the opportunity to practice beyond the Registered Nurse (RN) role, allowing you to fully utilise your skills, knowledge and experience as a nurse. Many RNs are already practising at an Advanced level, so becoming a Nurse Practitioner can enable you to continue expanding your practice. You will have the chance to provide holistic treatment based on a nursing model, working as a part of a collaborative health care community. Most importantly, you will help to fill in the gaps in our health care system by providing new and often unique services to patients, improving their access and choices in relation to their health.